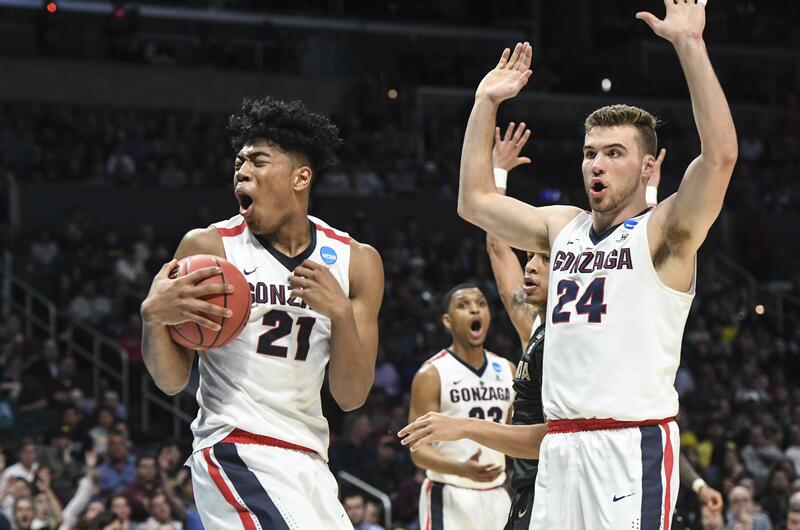 Gonzaga junior forward Rui Hachimura’s busy offseason figures to continue as college basketball publications and websites roll out their All-America teams for the upcoming season. Blue Ribbon College Basketball Yearbook on Wednesday listed Hachimura on its All-America team with Duke’s R.J. Barrett, Wisconsin’s Ethan Happ, North Carolina’s Luke Maye and Purdue’s Carsen Edwards. Hachimura helped his native Japan advance in FIBA World Cup qualifying earlier this summer. He scored 24 points in an upset over Australia and 13 in a rout over Chinese Taipei. He recently returned from participating in the Nike Basketball Academy in Los Angeles with 24 other college standouts. Hachimura played limited minutes as a freshman but emerged as a major contributor last season, averaging 11.6 points and 4.7 rebounds. He made 57 percent of his shots and nearly 80 percent at the free-throw line. The athletic, 6-foot-8 forward led Gonzaga in scoring in WCC contests at 12.9 points per game. Hachimura scored 25 points in an NCAA Tournament win over Ohio State and followed that up with 16 in a season-ending loss to Florida State. Maye and Happ are seniors, Hachimura and Edwards are juniors and Barrett is a true freshman. Published: Aug. 15, 2018, 1:55 p.m. Updated: Aug. 15, 2018, 4:47 p.m.